bipolar. These are two great reads which I poured my heart and soul into creating pieces of art, true art that the average reader can relate to. 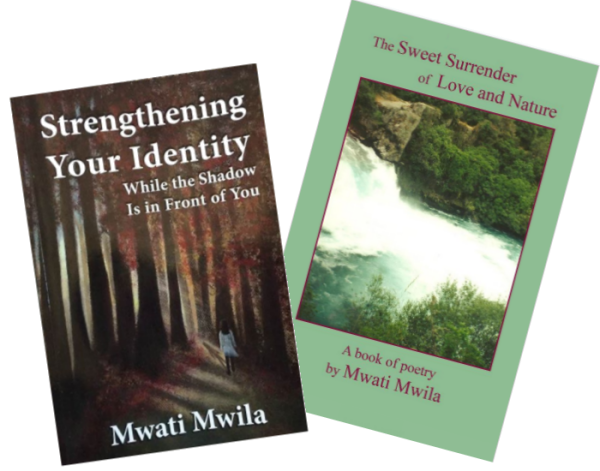 My first book, The Sweet Surrender of Love and Nature is a collection of poems that I have collected over the years during the best and worst times of my life. My expression is not only of endearment, it talks about the universal language of love, but also talks about human nature infused with all the complicated dews of life. 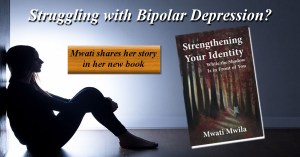 My second book Strengthening Your Identity While the Shadow is in Front of You is a more personal one, it is my memoir that deals with my life experiences…moving to three countries as a child and growing up with bipolar, an issue affecting thousands across the globe. My book is worth reading and talking about because I write about my quest to knowing my own personal bipolar because every case is different. From depression to mania, to isolation at school, to ignoring the symptoms, to falling and getting back up again. If you have dealt with insecurities or mental illness you will gain insight from reading my book. And if you haven’t it’s a great journey I take you on about my experiences with this illness and what I’ve gone through traveling around the world.